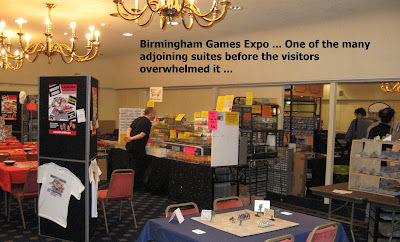 The photos do indeed give a flavour of the event- most evocative of a sense of gaming enthusiasm. 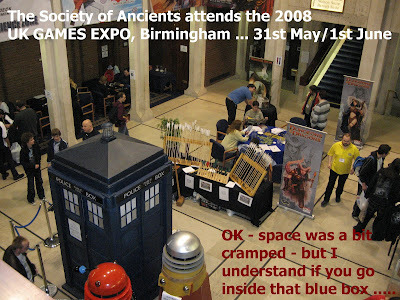 I thought the Society stand was really interesting looking and well presented- sure to attract visitors. 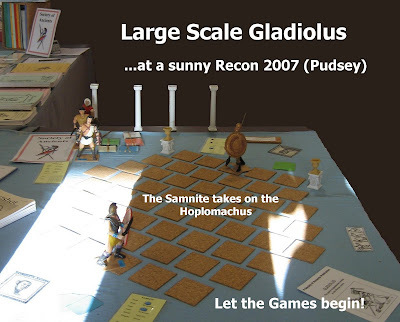 The gladiator game looks fun and I can well see why people stopped to watch. Thank you gentlemen for a most enjoyable blog entry. Just discovered this blog. Nice Gladiators, guys. What about 28mm? 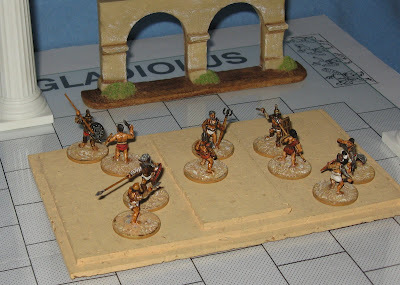 Does anyone make decent 28mm Gladiators? I guess figure scale is almost irrelevant when so few of them are involved. Neat photos. Ash: I'm trying to get motivated re 28mm... like many 40 somethings, I started with airfix plastics, and traditional 25mm metals. As a collector, I actually want some modern 28s in my collection - but it's hard to identify a project for which the scale is ideal. 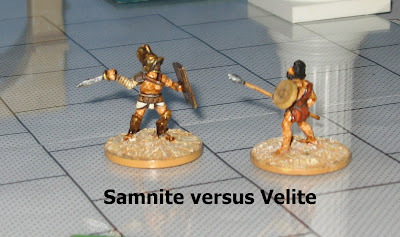 Probably, the answer is back where I started ... Hoplite Phalanxes!